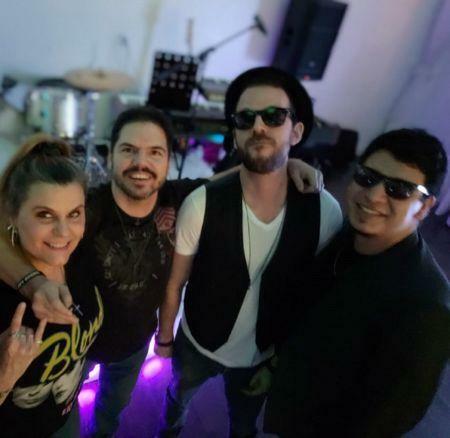 The party of parties is at Pub 52 in South Miami and you are invited to come on out and rock roll and shake your booty on the dance floor! Friday night, April 19th catch Exit Left 100% live at this amazing new gastropub located in the heart of South Miami. Pub 52 is a hip, elegant pub/kitchen with a laid back atmosphere. Great place for happy hour, dinner or both! Play pool, listen to live music, dance, watch tv and/or come by and grab a bite to eat from their incredible menu! Exit Left hits the stage at 8p and will be taking you on a musical journey through the decades. From 1960s – 1980s classic rock to modern and alternative rock hits, reggae, pop rock, danceable classic rock and more. There is no cover for this event and Pub 52 is a family friendly venue so all ages are welcome. For more information about Pub 52 please visit their website: www.pub52.com For more information about this event and/or for band inquiries (Exit Left is also available for private parties, corporate functions, etc…. ), please visit our website: www.exit-left.com See you Friday April 19th!